Robert Pattinson attended the premiere of 'Heaven Knows What' at the MoMA in New York yesterday. 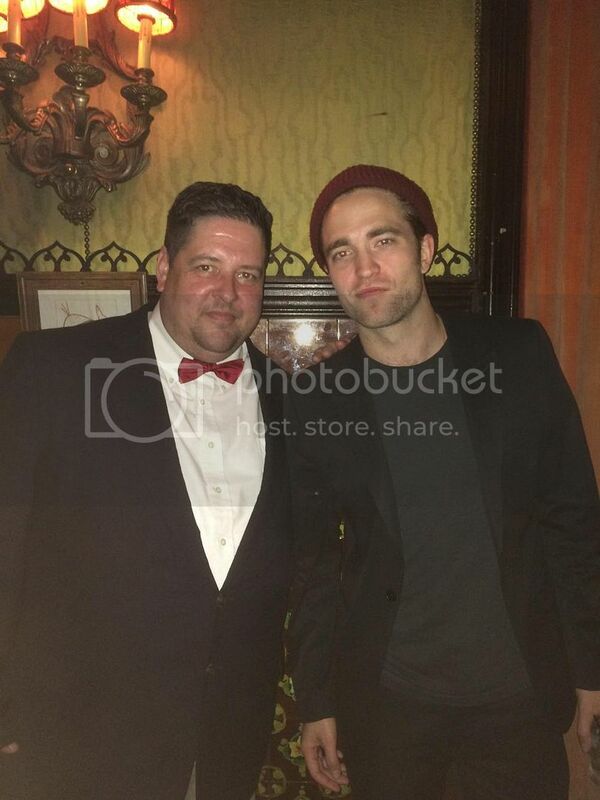 He also attended the after party and took some fan pics we posted earlier. Well the fan in the photo, Joey Boots is a regular caller on the Howard Stern show (a New York chat show on sirius satellite) and shared a story about meeting Rob at the after party. See the Utube clip below. Probably not the fan photos Rob's used to! Can you wash iPhones at all? That iPhone 4 will be getting an upgrade sooner rather than later!